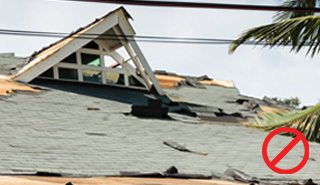 A HailFire™ roof protects against weather and climate conditions better than any other roof. A HailFire™ roof has an additional layer of protection because it is installed using the patented SlateTec™ installation system. ASTM-S1 quality – the highest available slate rating for strength and longevity. FM 4473 Class 4 – the highest class rating for hail impact resistance. Miami-Dade approved for use in hurricane zones. Up to 40% less roof weight. 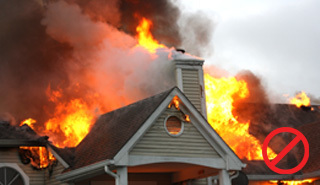 Reduced weight makes HailFire™ perfect for cedar shake replacement. Slates are nail gun installable. Superior impact resistance: The rigidity and density of Greenstone HailFire™ slate gives it extraordinary resistance to hail. The Greenstone Vermont slate used in HailFire™ (HailFire-Two, Three and Four, see below table) has been lab tested to repel 2-inch hail weighing 0.3 lbs traveling 120MPH! The tests resulted in a Class 4, FM 4473 impact tolerance rating—the best rating there is! 100% Fireproof: It’s just a fact: Slate is stone. It simply does not burn. The 100-year roof! Beyond the prestigious ASTM S-1, 75-year life expectancy rating, the slate in a HailFire roof is backed by Greenstone’s 100-year warranty. 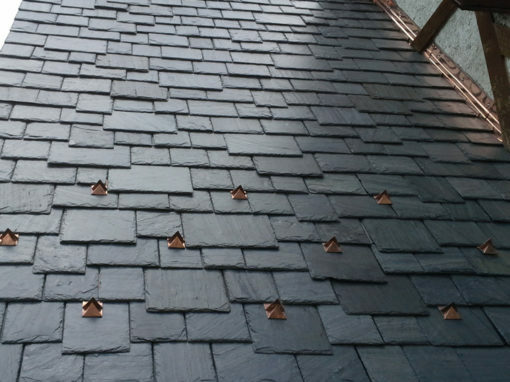 Waterproof: Greenstone HailFire slates are virtually impervious to water. 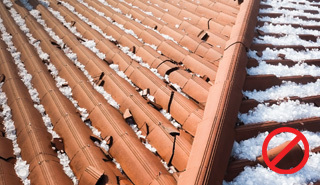 Unaffected by temperature extremes and moisture: From the hot southern summer sun to the coldest day of a northern winter, a HailFire roof will not appreciably expand, contract, warp, discolor (other than natural weathering of some colors) or be otherwise affected. 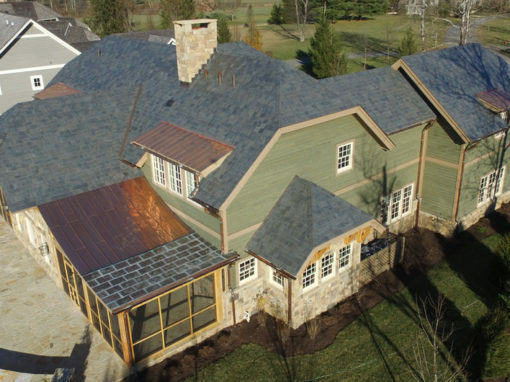 Extended protection: A HailFire™ roof has an additional layer of protection because it is installed using the patented SlateTec™ installation system. SlateTec’s “interlayment” layer under the slate protects the integrity of the deck even if a slate is damaged or missing. Lab tests confirm that the SlateTec interlayment independently meets Class 3 impact testing. 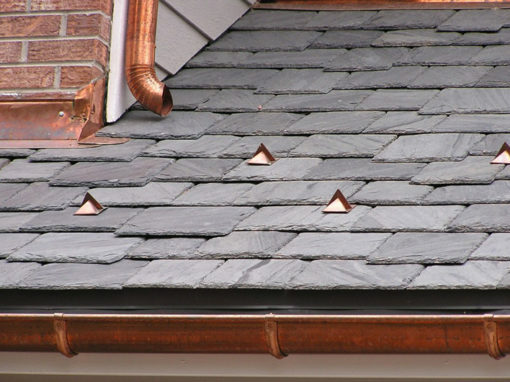 In addition, the SlateTec interlayment cushions the slate enhancing the slate’s impact resistance. 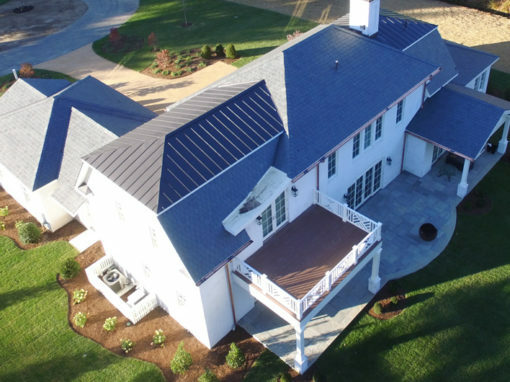 40% less weight: A HailFire™ slate roof weighs less because it uses less slate! The SlateTec™ installation system makes this possible because SlateTec’s interlayment reduces headlap. 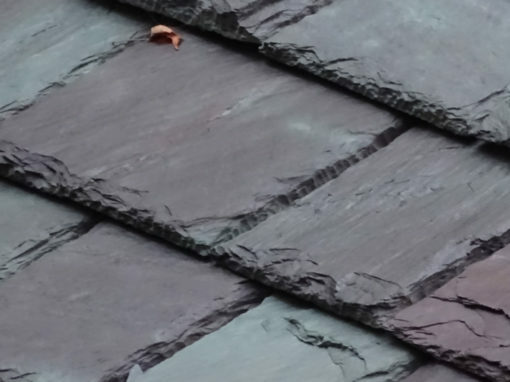 This means less slate is required, reducing the overall weight of the roof compared to a traditional slate installation. 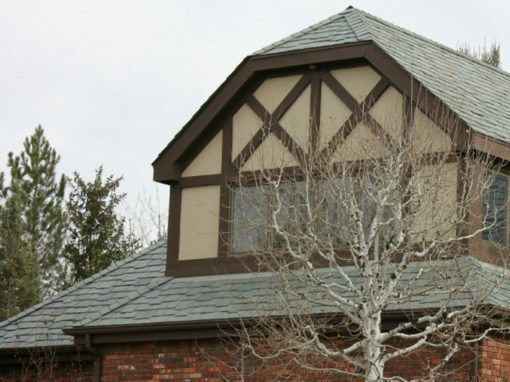 In fact, a HailFire-One roof can weigh less than 6 lbs/sqft, typically requiring no additional structural support—and making HailFire an excellent re-roof upgrade option for cedar shake or even asphalt shingle replacement! 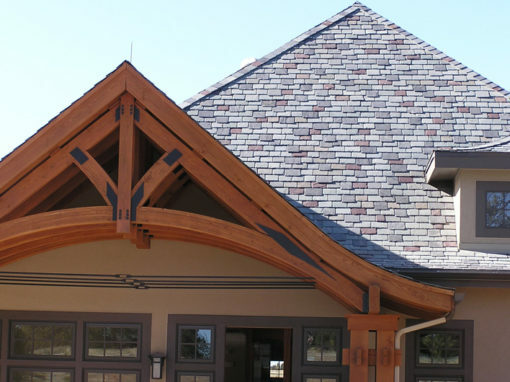 Slate’s extended life expectancy and durability creates an overall low cost of ownership. That’s why it is frequently the choice for fine residences but also for institutional applications such as college, church and government buildings. Its density provides an insulating factor that helps save energy. Stone is impervious to fungi and mold. Slate is sustainable, keeping five or more asphalt roofs out of a landfill, and has no environmental impact upon disposal. 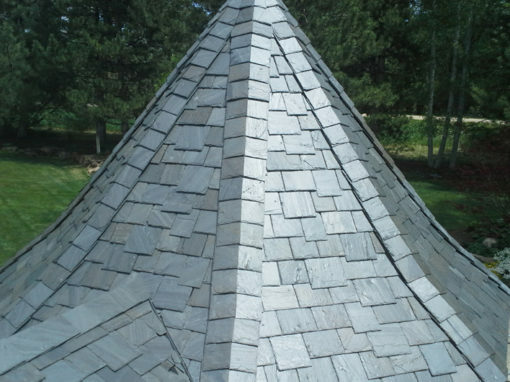 Unlike traditional slate installations, a HailFire roof is walkable. 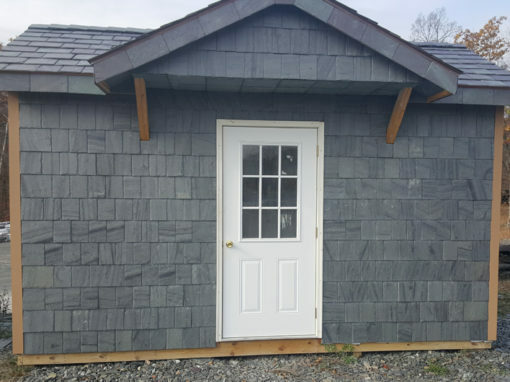 Slate thickness 1/4" to 3/8" 3/8" to 1/2" 1/2" to 3/4" at least 3/4"
HailFire™ is available in all Greenstone genuine Vermont slate colors. 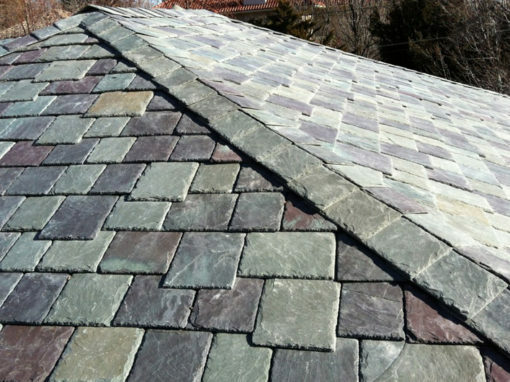 The colors are natural stone and will vary to a degree so that every slate roof is unique and has its own character. The colors are often mixed to create a certain overall hue. Count on us for advice on color blends of two more slate colors that commonly work well together. 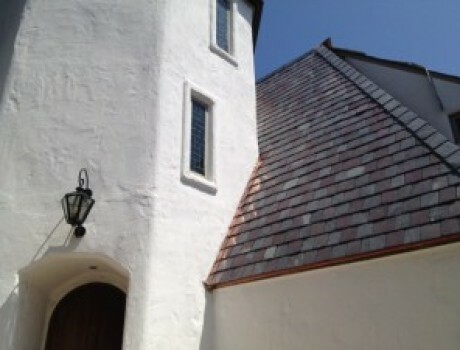 View our project gallery for slate color ideas! We are ready to assist with specifying HailFire™, selecting slate colors, advising on HailFire™ installation, or helping a property owner find a contractor.